More goodness from 3A Toys, one of the world’s best toymakers. The first piece for their newly launched TKLUB collection has just gone on sale, an exclusive piece that answers the call for more of their TK figures. 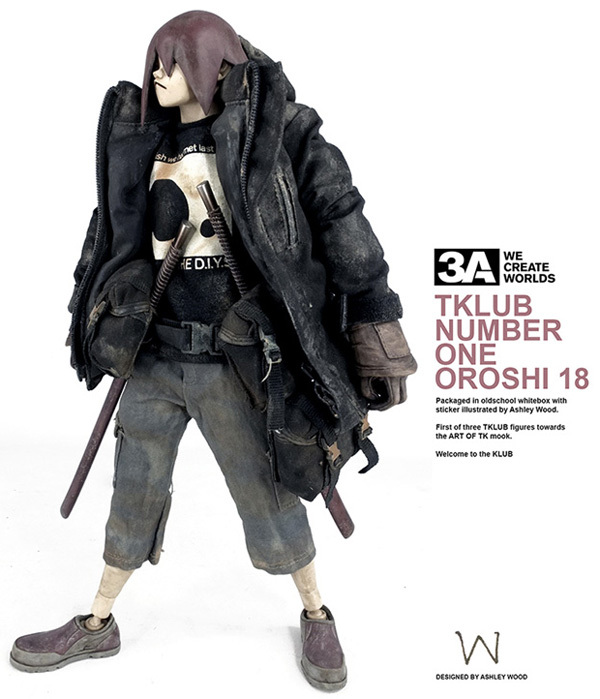 Titled the Oroshi 18, the figure was of course designed by Ashley Wood, and features high quality detailing expected from 3A Toys — including removable jacket, ammo bags, swords and other weapons. As with all the TKCLUB figures, the Oroshi 18 comes packaged in a classic whitebox.